Majesco cuts a few bucks off its microscopic shooter. In other words, you have no excuse. 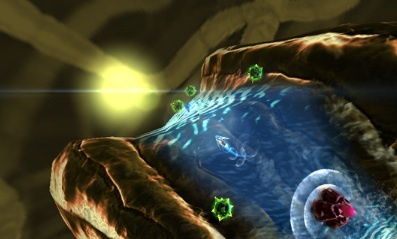 Before 2011 ended, Majesco unleashed Nano Assault, an intense 3D shooter that plunges gamers into battles with microscopic organisms; read our glowing review. Suffice to say, this title had to compete with the likes of Mario, no easy feat during the holiday shopping season. To keep its game front and center, Majesco officially dropped the price from $29.99 to a more budget friendly $19.99. This way, you can save a few bucks while enjoying one of the 3DS' coolest third party games.